IDDM is generally believed to be genetic in origin with environment playing minimal or no role; Indian children appear to be an exception to this general rule. 1. 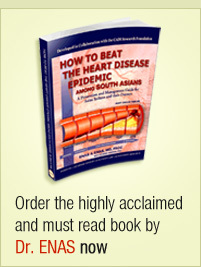 Nandkeoliar MK, Dharmalingam M, Marcus SR. Diabetes mellitus in Asian Indian children and adolescents. J Pediatr Endocrinol Metab. Oct 2007;20(10):1109-1114. 2. Ramachandran A, Snehalatha C, Joseph TA, Vijay V, Viswanathan M. Delayed onset of diabetes in children of low economic stratum–a study from southern India. Diabetes Res Clin Pract. Jan 1994;22(2-3):171-174. 3. Haines L, Wan KC, Lynn R, Barrett TG, Shield JP. Rising incidence of type 2 diabetes in children in the U.K. Diabetes Care. May 2007;30(5):1097-1101. 4. Feltbower RG, McKinney PA, Campbell FM, Stephenson CR, Bodansky HJ. Type 2 and other forms of diabetes in 0-30 year olds: a hospital based study in Leeds, UK. Archives of disease in childhood. Aug 2003;88(8):676-679. 5. Balakrishnan R, Webster P, Sinclair D. Trends in overweight and obesity among 5-7-year-old White and South Asian children born between 1991 and 1999. J Public Health (Oxf). Jun 2008;30(2):139-144. 6. Whincup PH, Gilg JA, Papacosta O, et al. Early evidence of ethnic differences in cardiovascular risk: cross sectional comparison of British South Asian and white children. Bmj. 2002;324(7338):635. 7. Krishnaveni GV, Veena SR, Hill JC, Kehoe S, Karat SC, Fall CH. Intrauterine exposure to maternal diabetes is associated with higher adiposity and insulin resistance and clustering of cardiovascular risk markers in Indian children. Diabetes Care. Feb 2010;33(2):402-404. 8. Ramachandran A, Snehalatha C, Yamuna A, Murugesan N, Narayan KM. Insulin resistance and clustering of cardiometabolic risk factors in urban teenagers in southern India. Diabetes Care. Jul 2007;30(7):1828-1833. 9. Vikram NK, Tandon N, Misra A, et al. Correlates of Type 2 diabetes mellitus in children, adolescents and young adults in north India: a multisite collaborative case-control study. Diabet Med. Mar 2006;23(3):293-298. 10. Ehtisham S, Crabtree N, Clark P, Shaw N, Barrett T. Ethnic differences in insulin resistance and body composition in United Kingdom adolescents. The Journal of clinical endocrinology and metabolism. Jul 2005;90(7):3963-3969. 11. Fischbacher CM, Hunt S, Alexander L. How physically active are South Asians in the United Kingdom? A literature review. J Public Health (Oxf). Sep 2004;26(3):250-258. 12. 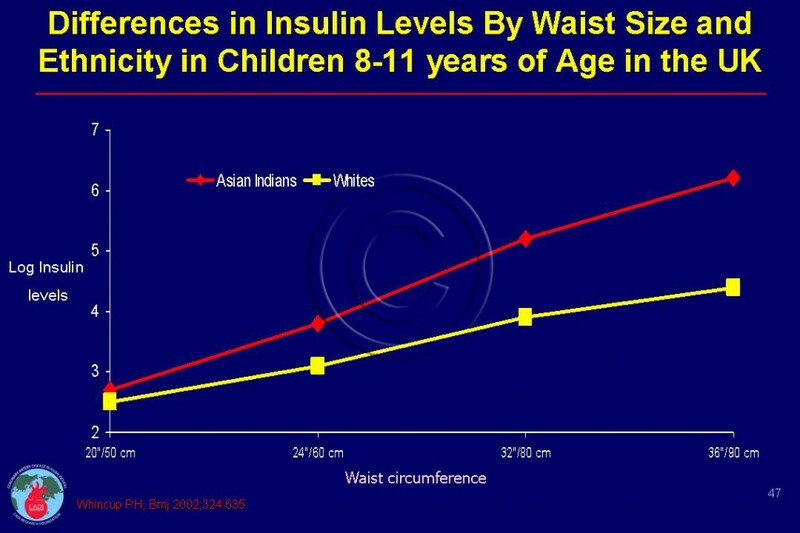 Feltbower RG, Bodansky HJ, McKinney PA, Houghton J, Stephenson CR, Haigh D. Trends in the incidence of childhood diabetes in south Asians and other children in Bradford, UK. Diabet Med. Feb 2002;19(2):162-166.